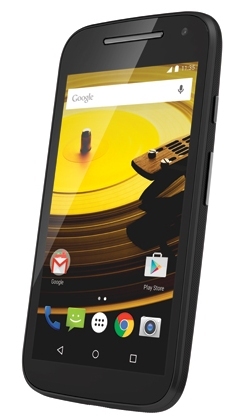 Motorola introduced the smartphone in India at a price of Rs 6,999. The second-generation Moto E will be exclusively available on Flipkart and will go on sale from Thursday, March 12. The company has, for now, introduced the 3G variant of the new Moto E in India. Motorola says it will soon also launch the LTE variant. Among the improvements over the last year's model, the new Moto E has a front-facing camera for selfies. The rear camera in the new model has auto-focusing, while the older model had a fixed-focus lens that didn't compensate for how far away the subject was. Other improvements include the latest Android 5.0 Lollipop software, a 4.5-inch display (against a 4.3-inch display in the previous model), 2390mAh battery (previously 1980mAh), 1.2GHz Qualcomm Snapdragon quad-core processor (up from a dual-core processor) and advanced graphics.